In this article, I will share my ideas about, “How to Decorate Your Laptop?”. This article has been sent by Julia who is a regular visitor ay What Laptops. I just loved her story and it is worth posting here on my blog. I am feeling so happy nowadays as my parents gifted me a brand new laptop and I love it as it is very much smart and updated. 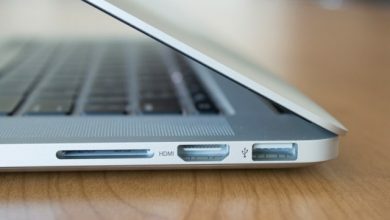 I have seen the same brand as the laptop in my college with other students and now I want that my laptop should stand out and looks different. At times, all I need is a decorated laptop. The only way through which I can enhance the beauty of my laptop is to decorate it and modify its appearance. Then I decided to decorate it through different means and start working over it. I got many ideas from the internet and there are also many things available in the market through which I can modify it and make it look more awesome :). I was much concerned about it as I fear in a try of modifying it I can also damage it, I have to keep in view of all the possible problems regarding it. 1 How to Decorate Your Laptop? Decide which part of laptop you want to decorate it is important as when you gather objects for decoration you should know that which part of the laptop you are going to apply it. it is a silly thing that you get a thing for decorating before you decide the place of application. It is also important that you should try to use the decorative decals on the places where it is easy to remove when you don’t want it. You should also be concerned about the material of the adhesives used in this purpose as it should be removed without leaving residues e.g. vinyl stickers are used for this purpose. 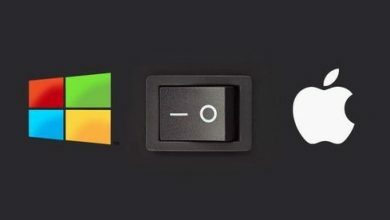 Then keep it in mind that you should turn off your laptop before applying it and also before cleaning it. The next thing you should do to your laptop is to clean your laptop with a lint-free slightly damp cloth it should not be very wet after cleaning it clean it with a dry cloth. Using washi tapes for the embellishment of the keyboard as many trendy and fancy textured tapes are available in the market for decoration purposes you can cut the tapes according to the size of keys and apply it on the keys of keyboard and you can also use the glitter markers for writing the letters, symbols on the keyboard. Usage of fancy enhancing back covers skin is also very common as many dandy and colorful skins for the laptop are available in the market for laptops these are also available online. 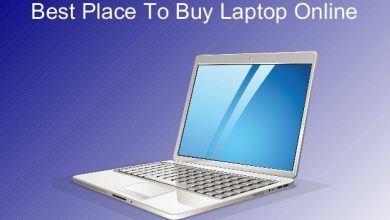 You can also design your own laptop skin on the online software or you can also use your picture for the purpose. You just need to remove the paper from the back of skin paper and then apply on the back slowly so that no ridge or ripple will be there to spoil the appearance. You can also apply vinyl stickers and prepare your own design for the laptop back and make it look pretty. 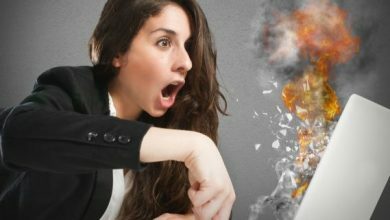 Try to be careful before deciding to apply any kind of paint on your laptop as little negligence can spoil your device. It is better to remove the plastic cover of laptop you want to paint so that paint may not spoil the delicate inner parts of the laptop. You should use a newspaper, an old cloth or any other thing to clean as this saves you from the paint. You can cover the area you don’t want to paint. If you are allergic to paints then you can use masks to protect your self from the fumes and odor of paint. 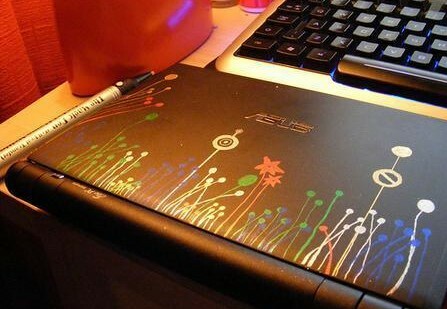 How to Paint a Laptop? You can use 100 grit sandpaper for painting on the laptops as this sandpaper can make a painting on plastic easy. You can select a design according to our taste from the internet or use your own creative mind. After completing the paint you should let it dry. Then apply primer or shimmer or shiner can also be applied to protect the paint. you just need to spray paint your laptop with any kind of abstract art but you have to apply two or three coats of paint between the coats you should allow the paint to dry. Try not to use any decorative object that hinders your work. Try using those things which make you gadget elegant. Try to use those things which will not spoil your laptop. Imagine your design according to the feasibility your taste and you available item very heavy and messy objects may fall during movement and working and can spoil the looks rather than beautifying it. You can use fabrics, stones, diamonties, stickers, papers (glazed, crape, chart, card) etc for the purpose of beautification of your laptop. You can use the polyurethane glue for adhesion. You can get this sort of glue from any market and also online shopping marts. After applying the objects you want you can varnish the design so that it will be intact. Then allow the varnish to dry. a)you can use the fabric compatible with your laptop. b)Too much fancy fabric should not be used as it may create a problem in handling. You can use fabric of any design, color, and texture according to your taste to cover your laptop. You can stitch it accordingly. It is a source of security and beauty also. Try to use compatible adhesives for this purpose. You can neon strings in different sizes an make your own design or hologram for this purpose. Paste these strands according to your own design on the laptops with adhesives. As I have discussed a lot about the methods of decorating your laptop. Now I am going to tell you about certain ideas which I like a lot about the designing of your laptops skins and after reading these ideas I was like OMG!!! You can beautify your laptops in such a diverse way. You can design your laptop skin with the pop symbols and social media logo, internet sayings and quotes and stickers consisting of the emoticons. You can also design strips and geometrical patterns. You can also give the appearance of a galaxy on the skin of your laptops. You can also make rainbow dotted paint designs of embossed paints. You can also enhance the beauty of your gadget by using Tumblr inspire paper or charts cut out. You can use wood texture glazed paper which is easily available in the market to add shine in the appearance of your laptop. You can also use small lightweight seashells to improve the beauty of your laptop. You can also use jacket patterns for the decoration of your laptop. As human gets bored of his stuff very soon. Similarly, if you keep on using one laptop for a long time you get bored easily and you know!! It is used for working purposes so it should be full of colors. I must say and a decorated laptop according to your taste not only make your laptop different from others but also helps others to understand your taste. It also able to change so you can change it according to your mood also and many times it also protects your device. I enjoyed modifying my laptop a lot as it made it looks beautiful and unique. I decorated my laptop according to my taste so I used pearls and stickers of mermaid design to embellish it. And gave a marine texture to my laptop cover by using spray paints. I also sew a cover of cotton with a gold striped pattern on it I also decorated it with tussles and strings so that it looks more fancy and elegant. I hope my ideas will be useful as they are very useful for me and they will help everyone in the decoration of the laptops. Feel free to contact me if you have better ideas for decorating a laptop. I am always looking for ways to improve my laptop appearance. 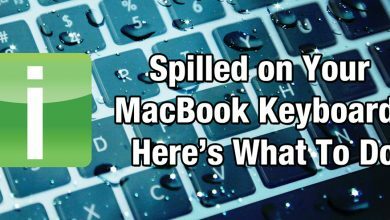 What To Do If You Spill Water On Your MacBook?